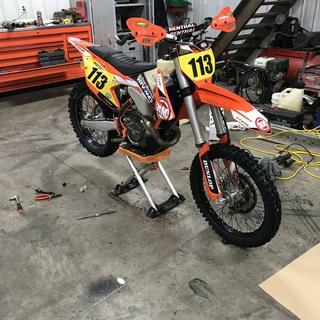 Custom Race Team Complete Bike Graphics Kit. Very happy with the kit looks Fabulous and the fit was spot on. 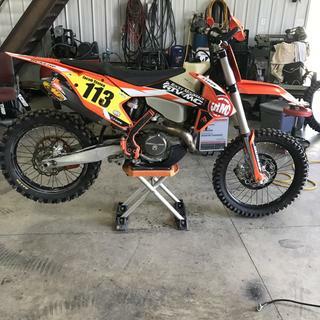 Very happy with the fit of these graphics on our 2017 KTM 50SX. I have run the Attack number plates on a number of my bikes in the past and have been very happy with them. This kit makes the bike look like a little factory bike. Very happy with how it turned out. Graphics look great and we’re by far the best going on of any I have put on before. For the money this set can be beat. 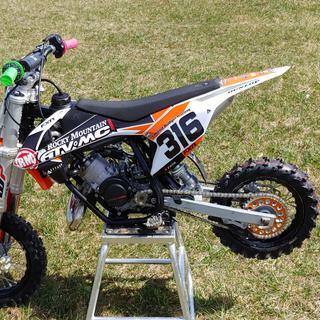 This kit reminds me of the factory style graphics also so it really looks good on the ktm. 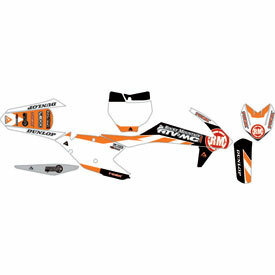 Can I get this graphic with my sponsor's logo on it? BEST ANSWER: Unfortunately, we are unable to add logos to these. We apologize for any inconvenience this may cause.